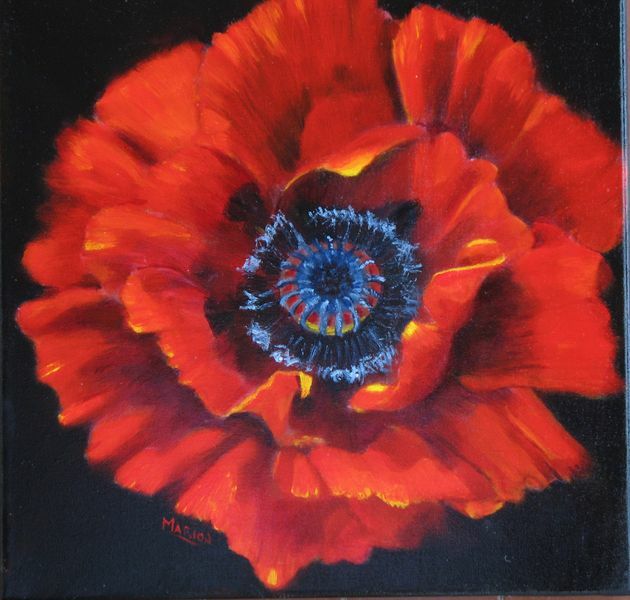 I painted this for my Mum on her 80th birthday as poppies were her favourite flower. I started with a black gessoed canvas, roughly sketched in the flower and then started scumbling in white paint for the highlights. 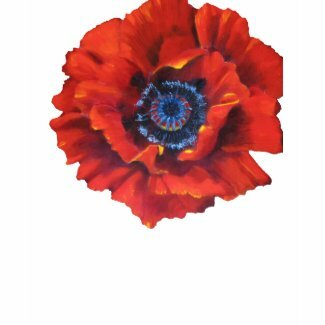 After obtaining the basic shape plus shadow areas, I used a yellow for the brightest part of the petals followed by red. I used a scumbling technique throughout varying the layers. The shadow areas were left quite lightly scumbled, with more or less pressure depending on the extent of the shadow. 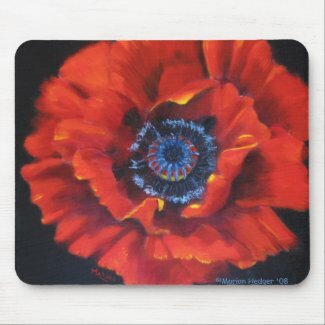 It is beautifully painted and I love the ideas of making other items with the image! Thanks Rolina for your kind comments.